Burlingtons range of accessories will provide the finishing touches to ensure your bathroom looks and functions perfectly. Every item is traditionally finished in a high quality chrome plating, to guarantee the balance of functionality and style. 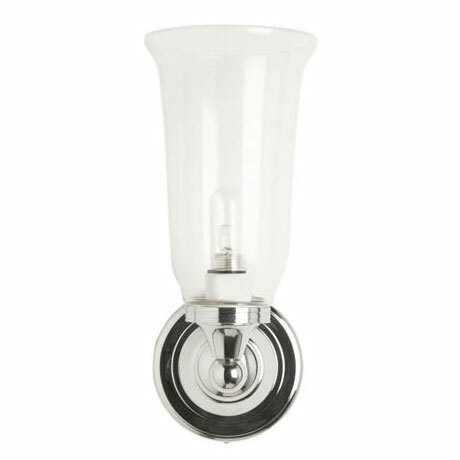 This Round Light with Chrome Base and Vase Clear Glass Shade will certainly give all bathrooms that touch of elegance. All Burlington lights are supplied with G9 light bulbs. They are 28 watts, but give 40 watts of light and have an IP rating of IP44. All lights are supplied with a blank washer so you can switch the light centrally if desired.